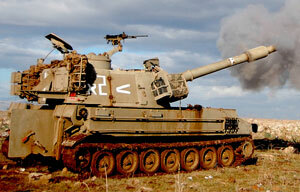 The M109 is a self-propelled 155 mm howitzer, first introduced in the early 1960s. It has been continually upgraded and improved to today's current version. ISO Group provides spare parts and solutions for several versions of the M109; the M109A1, M109A2, M109A3, M109A4, M109A5, and M109A6 Paladin. ISO Group has experience in the M109, M109A1, M109A2, M109A3, M109A4, M109A5, and M109A6 Engine Assemblies, Drivetrain, Transmission, T136 Track Shoe, Electrical Assemblies, Weapons System, and Accessories. Follow the links below for more detailed information.